What types of jam do you make? I usually make jam with a strawberry or blackberry base, but I always love to add something extra to give it pizazz. Maybe a little fresh ginger, basil, vanilla bean, or cardamom. 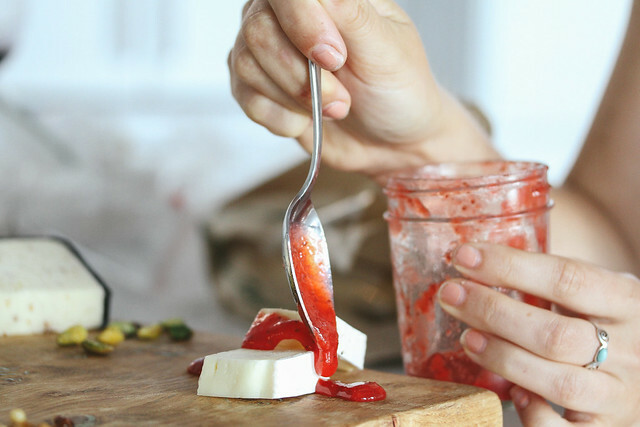 I also enjoy fig or cherry tomato jam. (Victoria… you wouldn’t dislike it I don’t think, because the texture is smooth). Why do you enjoy making jam? I love making bread and bread is not complete without a fresh jam. It’s the perfect complement. Not to mention its simply colorful sweetness, what’s not to like? For starters, the word “jam” just sounds better. Maybe I do not like the word ‘jelly’, from childhood trauma as a rhyme with Kelley. 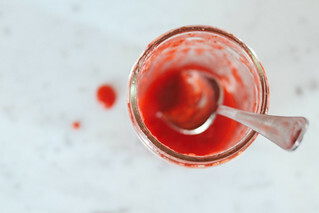 I have clear memories of rhymes that would go something like this...‘Kelley Jelly fi phi fo Felly Belly!.’ Despite the lingering effects of childhood, let’s just say the word ‘jam’ is superior in my book. But if we have to be factual about it, its my understanding that jam preserves the seeds; whereas jelly is strained to be seedless and smooth. Favorite type of fruit to make into jam? Rhubarb, it gives a wonderful sour bite to the sweetness of jam and macerates to create the perfect texture. I combine it with strawberry or raspberry to create my personal favorite variety. Do you prefer to make your own jam or buy jam? 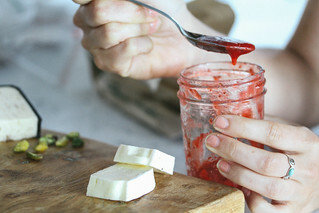 Although Sara Beth’s brand is amazing, I always try have homemade jam on hand. 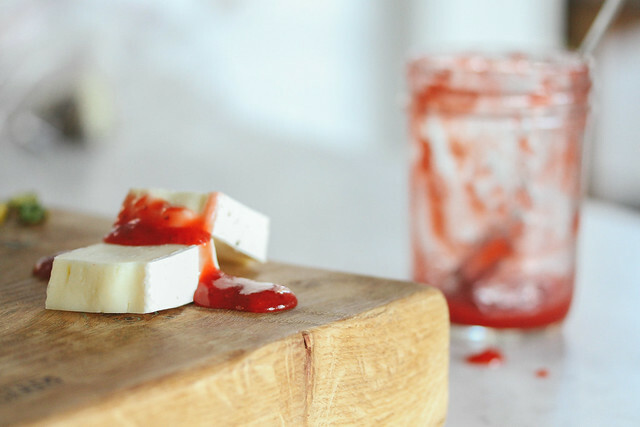 Jam is way too simple not to make in-house. Although I have converted everyone in my family to strictly using the term ‘jam’ over 'jelly’ as a general rule, my Dad has struggled to no end to make the jelly to jam transition. Dinner after dinner, he would ask me or one of my three sisters to pass the ‘jelly’ and we all looked at him as if we have no I clue as to what he is asking for. He will eventually catch on and ask for the ‘jam’ with emphasis, but it just doesn’t ever seem to catch on.